Hello lovelies, that time again where I show you what polish is covering my nails, I saw this nail polish freebie on someones Instagram and stalked every shop for it and couldn't find it anywhere! Until I was out of town one day and spotted it straight away, I grabbed it without a second thought, I love Nails Inc nail polishes and when there free with a magazine you really can't go wrong. Its like a gorgeous duck egg blue with a grey haze. It looks so stunning on my pale nails and lasts a long while, if you can tell by the swatch pictures my thumb has snapped at that ridge, I know OUCH. But I had to take these pictures before I finally braved it and cut my thumb nail off, sob. 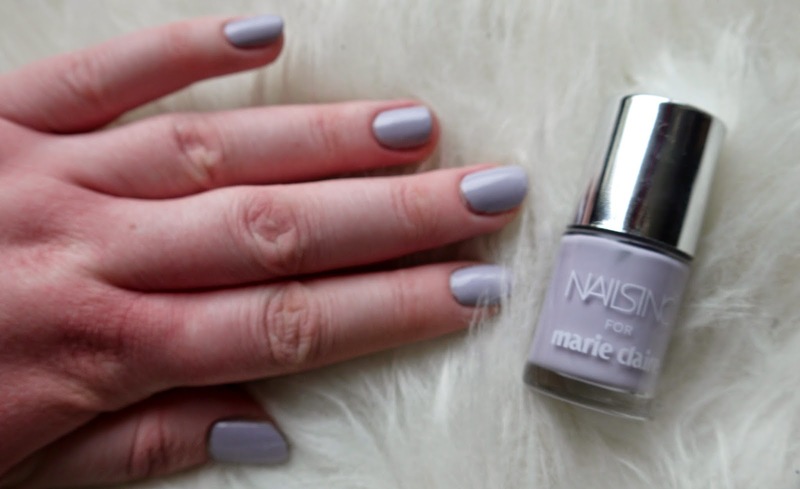 Will you be picking up this freebie in the Marie Claire magazine or have your eye on the other shades?